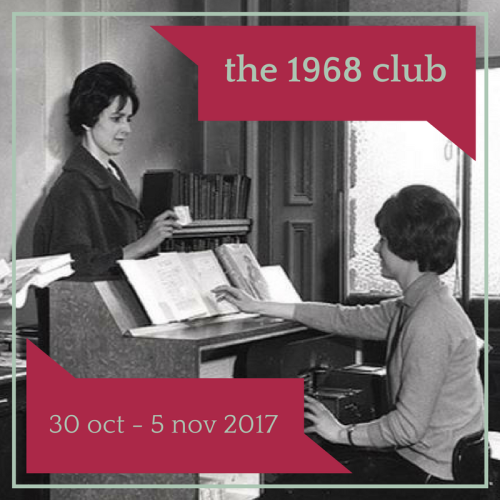 This my contribution to the 1968 Club, running this week and hosted by Karen at Kaggsy’s Bookish Ramblings and Simon at Stuck in a Book. Do join in! This is a watershed moment for the narrator, the point at which she notices Christa and begins to acknowledge her wonder at her friend. However, while Christa is compelling, she also lives a life that is completely ordinary. She grows up, gets married, has children, and works as a teacher. Despite this, the quest is not one that can be fulfilled – at the end we are in the position of the narrator in that we don’t know who Christa T is either. This is Christa’s final resistance: she conformed exactly how she was supposed to under Nazism and communism, and yet the state, her friends, and the readers of her story cannot box her in. The Quest for Christa T is fragmentary and non-linear, yet it still manages to be a satisfying whole. It is a subtle, beautifully written novel which allows for the reader’s intelligence to find their own meaning. But don’t just take my word for it, take David Bowie’s: The Quest for Christa T was one of his 100 must-read books. Rhys often drew on her own life and there are certainly stories here that will be familiar to anyone who has read her work: depression and poverty in Hunger, the life she knew as a shop model in Mannequin, but she also broadens her gaze. There is a touching portrait of an old man and child in From a French Prison, a tragic love affair in La Grosse Fifi quite different from the dinginess and malaise that characterises the affairs she normally writes about.The longest story is Vienne, and here is where the shadow of war begins to loom over the Europe she has been portraying. A young couple, too sad to be Bright Young Things, desperately traverse the continent without quite understanding the danger, but knowing they must reach safety. I don’t think Tigers Are Better Looking is Rhys at her best, but there is still so much to enjoy in this collection, flashes of brilliance even when the stories aren’t as strong. She’s a wonderful writer and reading this has encouraged me to dig out the remaining novels of hers that I have yet to read. To end, the UK number one this week in 1968. All together now: la, la, la, la, la, laaaaaaaaaa…. 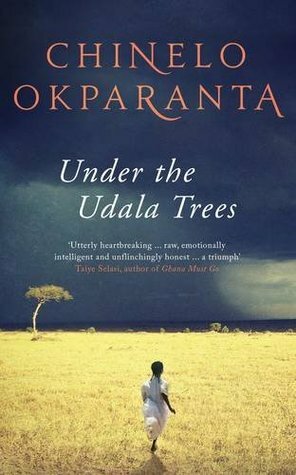 Firstly, Under the Udala Trees by Chinelo Okparanta (2015), a remarkably accomplished debut novel, set in the years during & immediately after the Biafran civil war. Ijeoma’s sexuality forces her to question much that forms the foundation of her life in Nigeria, not least the religion she has been brought up to and educated within. This is an accomplished first novel, and Okparanta is a wise writer. She creates beautiful prose, compelling characters and a well-paced story, and she has important things to say about the world and those of us in it. I’m excited to see what she does next. 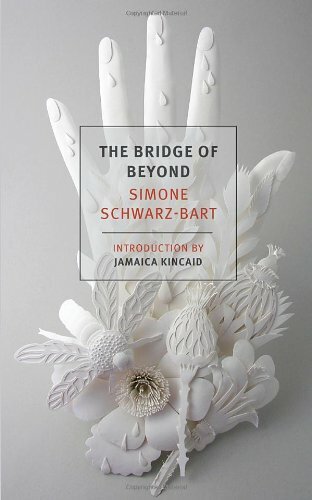 Secondly, The Bridge of Beyond by Simone Schwarz-Bart (1972, trans. Barbara Bray 2015), and one more stop on my Around the World in 80 Books Reading Challenge, hosted by Hard Book Habit. I wanted to read this after seeing Claire’s wonderful review at Word by Word (over a year ago – I get there in the end…) My copy is the New York Review of Books edition, which I recommend for a sensitive, enthusiastic introduction by Jamaica Kincaid. Telumee grows up in the loving home of her grandmother but Queen Without Name cannot protect her from making a disastrous marriage. Telumee survives though, and The Bridge of Beyond is a tale of overcoming adversity, of finding strength within yourself that you didn’t know you had, and of drawing on the strength of other women to help you endure. Schwarz-Bart is a beautiful writer who captures an individual voice compassionately without descending into cliché. I’ll definitely be looking to read more of her work. You’re telling me Jane. I travel every weekday from south to east London and I’ve become increasingly aware that my lungs are taking a right battering. Still, I do love the east of the city, as I think it’s the best place to get a sense of the layers of history of London. The street names give subtle clues to their past lives by being called things along the lines of Ale Draper’s Alley and Jellied Eel Pass (OK, I may have made those up) and everywhere you go there is something to learn. I eat my lunch next to William Blake and Daniel Defoe’s graves and an adjacent road is the last in London to have preserved the Victorian wooden block paving. If you’re a massive geek like me, you can watch a little 1 minute video about it here, and because it’s the East End, of course there’s some stuff about the Krays in there too. 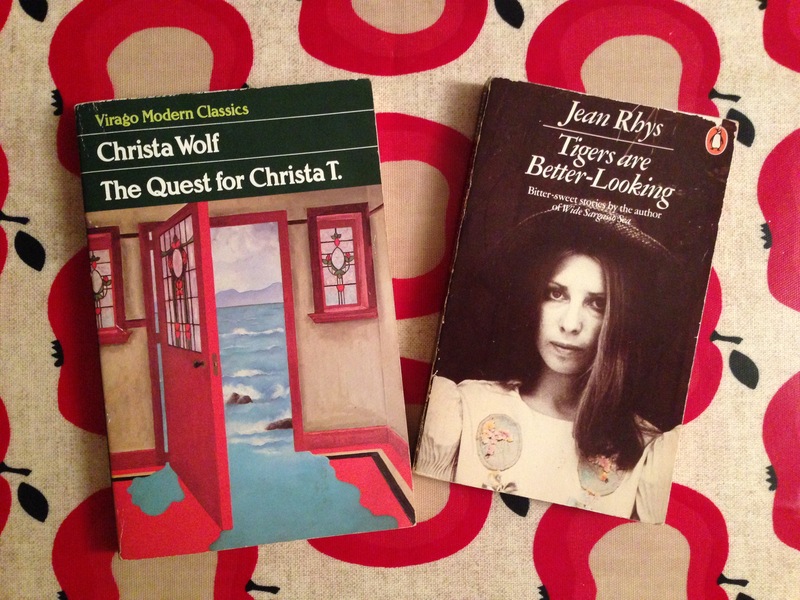 This nerdy preamble is to say that this week I’ve chosen the theme of historically-set London novels, stories based in the Victorian era and 1960s, despite both being written in the 1990s. The narrative is focussed on Elizabeth and so Dan remains somewhat unknown to the reader, but there is a sense that everyone in the novel is unknowable to an extent. As the narrative cuts back and forth in time, between Elizabeth’s story, court transcripts, and the Golem’s diary, the reader is piecing together the story from fragments. In that way it places us in the position of detectives, who obviously don’t arrive at crime scenes to then work a linear story backwards to determine what happened. Secondly, forward to the 1960s and The Long Firm by Jake Arnott (1999). 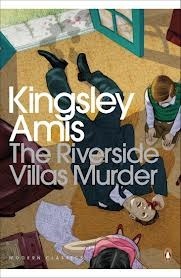 Gangster novels aren’t really my thing, but Susan from A Life in Books convinced me in one of her Blasts from the Past that as I’d enjoyed the TV series I should give it a try. She was absolutely right; it may open with Harry Starks warming a poker in order to insert it into someone, but The Long Firm is an intelligent study of the effects of violence and the damage wreaked on the people who inhabit shady netherworlds of crime. The story is told from five viewpoints in chronological order: Harry’s lover, a peer of the realm business partner, a small time gangster, a showgirl/beard and sociology lecturer all give us their view of Harry but ultimately he remains obscure. This is entirely appropriate: like the Krays and the Richardsons, legend builds up around the life and the crimes and the people themselves become lost. The Long Firm’s historical detail and accuracy seems entirely authentic, and as in Golem, real life characters – this time the Krays, Judy Garland, and Jack the Hat who narrates one section – make appearances. Harry himself is reminiscent of Ronnie Kray but is still a believable individual character. Ultimately, I think The Long Firm is about stories. Why there are so many stories that emerge from this time and section of society, what is truth, what is fable, whether the difference matters, and why these stories are still being told. 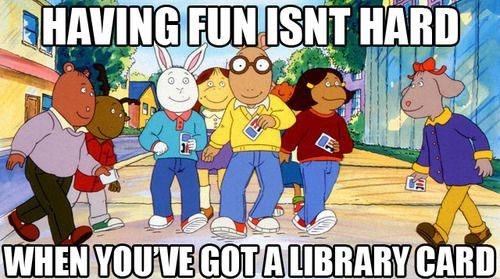 Hey freshers! If you’re reading this, it means only one thing: you survived Fresher’s Week! Congratulations! Now get yourself dosed up on alka seltzer and down to the GUM clinic, pronto. Firstly, Stoner by John Williams (1963), which is something of a rediscovered classic in recent years, with effusive praise heaped on it from all quarters. In this instance I thought the hype was absolutely deserved. Stoner is a beautifully written, acutely observed portrait of an ordinary life which is deeply moving. And so we follow Stoner as he becomes a student of literature, then a teacher, and never leaves the university. The life Stoner leads is very ordinary: he makes a disastrous marriage but they stick it out, he becomes an OK teacher, he makes friends and enemies, he has a loving but complex relationship with his daughter… nothing happens and everything happens. The writing is so good that you are pulled along through this everyday story just as much as you would be through a heavily plot-driven thriller. I highly recommend this quietly heart-breaking novel. Secondly, The Art of Fielding by Chad Harbach (2012), which I never would have picked up, thinking it was a sports novel, if it wasn’t for Kate at Books are My Favourite and Best reassuring me that it definitely was about more than baseball (she’s right); you can read her review here. The Art of Fielding follows Henry Skrimshader’s career at Westish College, where he is accepted due to his prowess on the baseball field. He is recruited there by Mike Schwartz, an ambitious jock whose knees are giving out; he rooms with Owen Dunne, a beautiful clean-freak who is also a highly talented player and who begins a problematic affair; and President Affenlight discovers a new love of baseball alongside other more surprising things, just as his troubled daughter Pella returns home. Henry’s career at Westish does not go smoothly and his crisis affects all those around him. There is quite a lot about baseball in the novel and it all went over my head seeing as how I’ve never watched a game in my life and don’t really plan to change this, but it didn’t affect my enjoyment of the novel in the slightest. Harbach’s writing reminded me a bit of Richard Russo, in that it captures a slightly old-fashioned, all-American life, but is involving and affecting because of this, rather than nostalgic and distancing. The focus is very much on well-drawn, idiosyncratic characters and their relationships, so that you feel absolutely drawn into their lives. Really, The Art of Fielding is about love. Love between friends, parents and children, siblings, lovers, team mates, teacher and student, platonic, romantic, familial… in all its guises. And in that it is deeply moving. The ending isn’t sad but it still made me cry on the bus, dammit.